The course was well attended, 15 attendees – we had attendees from Denmark (father and son), Scotland, Barnsley, Hereford and Preston. There is a high demand for training in this highly skilled industry. The craftsmanship and technique can only be taught and not picked up. There is a huge difference between being able to work with pattern imprinted concrete to just laying plain concrete. Training is the way forward in this industry, imprinted concrete far outweighs the benefits of other forms of paving - virtually maintenance free, no sinkage, no weeds, no stains. 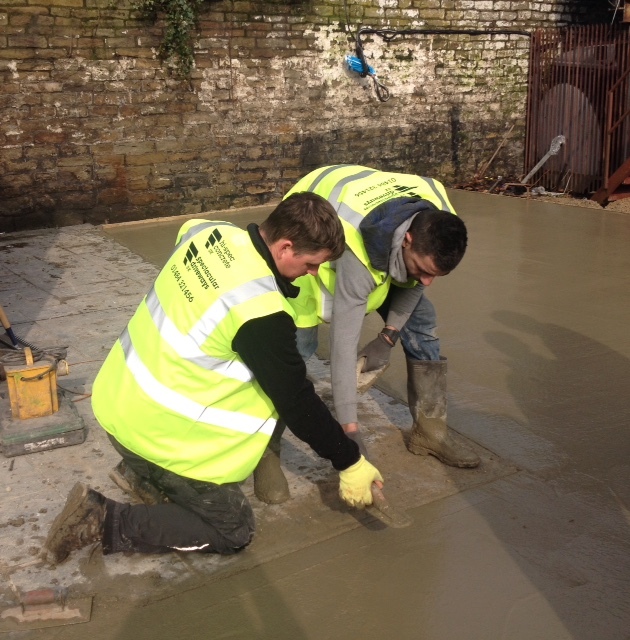 The concrete was delivered by hi-spec concrete uk – our batched on site sister company. The specification of the concrete for these particular jobs is vital, it has to be exact – if it isn’t the whole project can be affected. This is the whole reason behind hi-spec concrete uk being set up – the main benefit of volumetrics being that the concrete is mixed freshly on site and specification can be altered at any time during the pour. 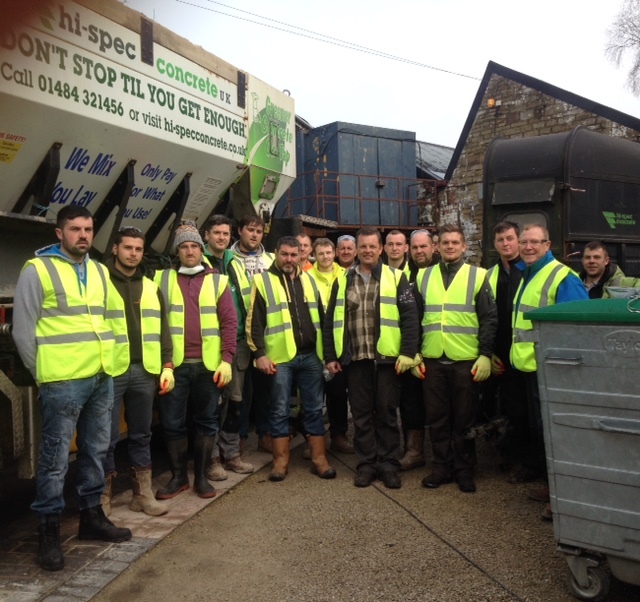 Hi-spec delivers to utility companies, constructions sites, local builders and diyers! The guys layed an area of 100 sq metreas , and were taken through the whole process of installing an pattern imprinted concrete area. A team of attendees have just ordered their tools, colours and powders from us to lay their first installation.